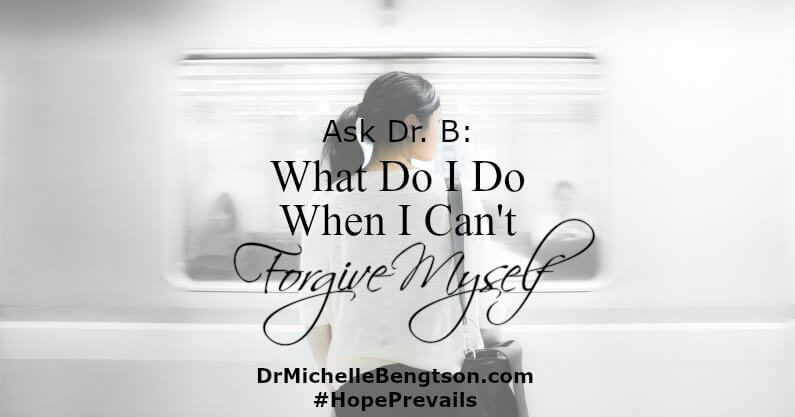 Ask Dr. B: What Do I Do When I Can’t Forgive Myself? You are you know. 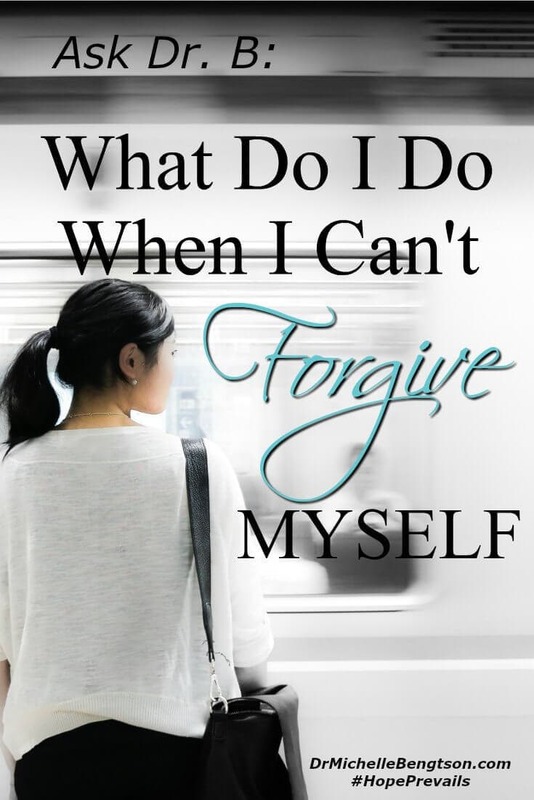 I know you are having a hard time forgiving yourself, but God has already forgiven you. I can hear the guilt and angst in your words, but more than that I can feel the pain from the shame that is buried deep within your heart from the past mistakes you’ve made that continue to plague you today. If we were sitting together over a cup of coffee, I would take your hand in mine, look into your eyes, and I would tell you that those thoughts that you are having are not your thoughts. Those are thoughts that are being whispered to you by the enemy, the father of lies, to convince you that you aren’t worthy. 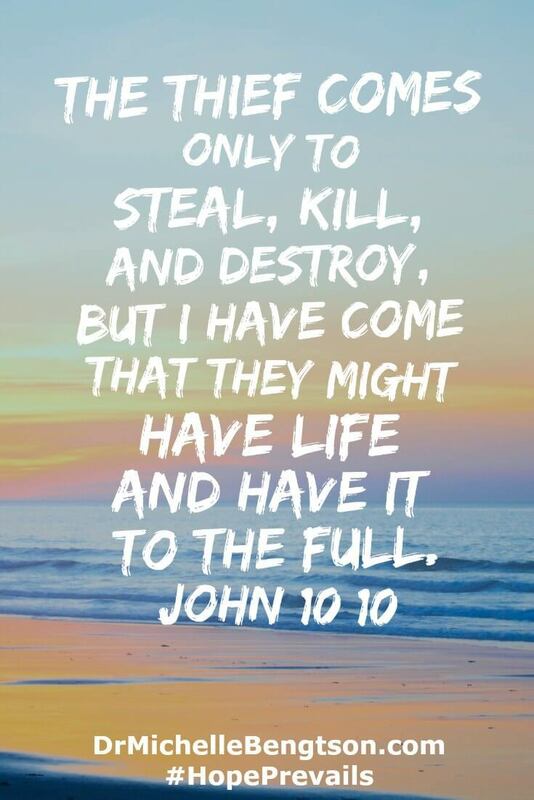 The Bible says that, “the thief comes only to steal, kill, and destroy, but I have come that they might have life and have it to the full” (John 10:10). The enemy seeks to steal your peace, kill your joy, and rob you of your identity—that’s the bad news. But the good news is that Christ came to give you a full and abundant life, despite anything and everything that you have done. He has already paid the penalty for all the mistakes you have ever made or will ever make. That is why scripture says, “There is now therefore no condemnation for those who are in Christ Jesus” (Romans 8:1). It’s the enemy of your soul reminding you of your mistakes. You’ve got to fight back with truth. Every time he reminds you of the mistakes of your past, remind him that you’ve been forgiven and redeemed because of Christ’s sacrifice on the cross! Say it out loud. Faith comes by hearing, so speak such truths out loud. And when he tries to remind you of your past mistakes, stand on God’s truth which says, “For I am about to do something new. See, I have already begun! Do you not see it? I will make a pathway through the wilderness. I will create rivers in the dry wasteland” (Isaiah 43:19 NLT). So often we have a harder time forgiving ourselves than forgiving what others do to us. But keep in mind, God has already forgiven you of whatever you have done. He has already paid the penalty to wipe your debt clean. If you are unwilling to forgive yourself, you are in effect telling God that His sacrifice wasn’t enough. His death wasn’t enough. There is no greater price that could be paid. If you can’t look at it this way, look at it as the most expensive gift you’ve ever been given. Receive it with the most extravagant love it’s been offered. Great advice Dr. B, we all have that nagging enemy. You do have to say it out loud. I read a story of a girl trapped in a car wreck, she asked EMT’s to pray out loud. Suddenly a priest appeared and anointed her with oil, and told them now they could cut he out, another dept. arrived with more powerful equipment, she was free. But in all the photos, there was no priest. And no Catholic church said their priests were there. That out loud prayer must have brought an angel. Loved your comments! All so true! Our Father is a forgiving loving Father! Wonderful reminders of God’s forgiveness and the importance of “believing that forgiveness” in every part of our lives. Love the reminder to turn to the Gospel. It is good news indeed and must be preached to our weary souls day in and day out!